generated on how we can better manage our food supply locally and of course there was some planting! An apple tree in Rice College grounds, and a number of herbs were added to the ELP Food Forest at the Quay. 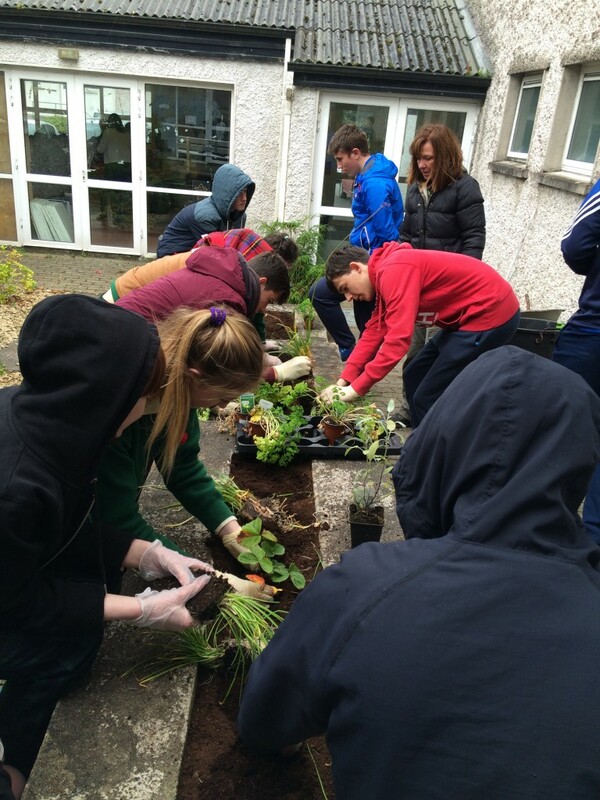 Oct 14th & 21st 2016: A magic Food Security workshop today with TY’s from Westport Town’s SHS and Rice College who planted fruit tree and shrubs – as well as strawberries and chives and other herbs – which they’ll include in their Home economics recipes next week! Funding for this was from Local Agenda 21. 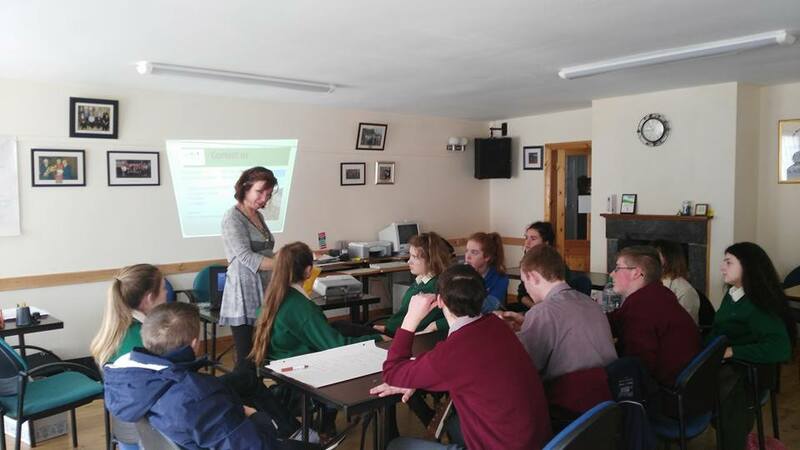 March 2014: The ELP ran a very successful 2-day Planting and Food Security Awareness Workshop with Transition Year students from the Sacred Heart School and Rice College in Westport town. 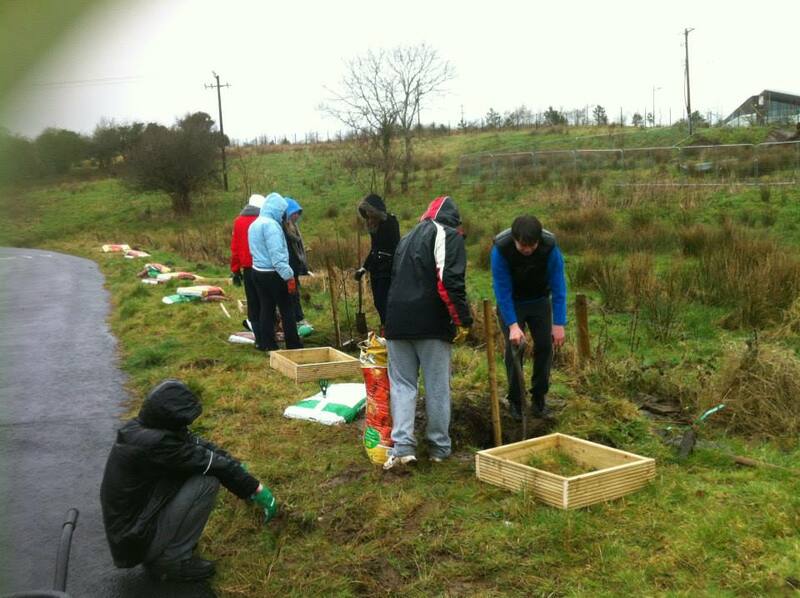 As part of the workshop, ten fruit and nut trees were planted along the Town Greenway near Allergan – a mix of apple, pear and cob nut varieties were used. 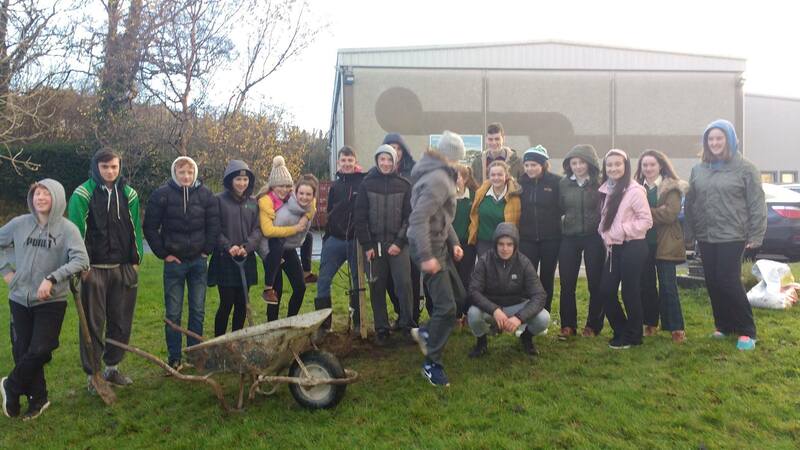 The workshop also provided students with an introduction to Agroforestry, a sustainable planting technique based on planting a mix of trees, shrubs and perennial plants. This is a low maintenance, permanent, resilient, stable, organic system of producing food. Hopefully this workshop will encourage students to plant their own fruit trees at home!